This is a strange one. 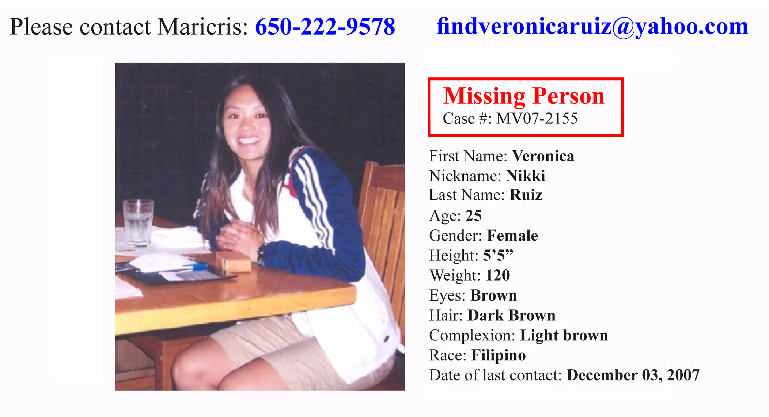 Veronica Ruiz, 25 and an IRS agent, has been missing since December 3rd. She went hiking up on Mount Tamalpais in Mill Valley (across the bridge from San Francisco) and hasn't been seen since. I got an email from Vox telling me about this story, so I'm posting it. Thanks Vox.